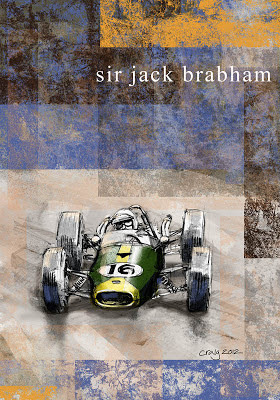 I am a great admirer of Sir Jack Brabham. World Champion F1 driver 1959, 1960 and 1966 and constructor. 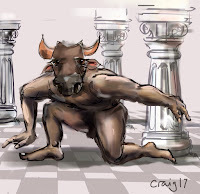 This drawing is loosley based on the photos by Cahier and Snowdon, Dutch Grand Prix (Zandvoort) 1966. A felt tip pen sketch scanned and coloured in Photoshop.